Hi loves! 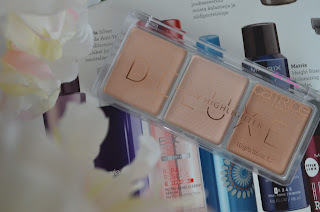 I have been testing out affordable highlighting trio from Catrice. 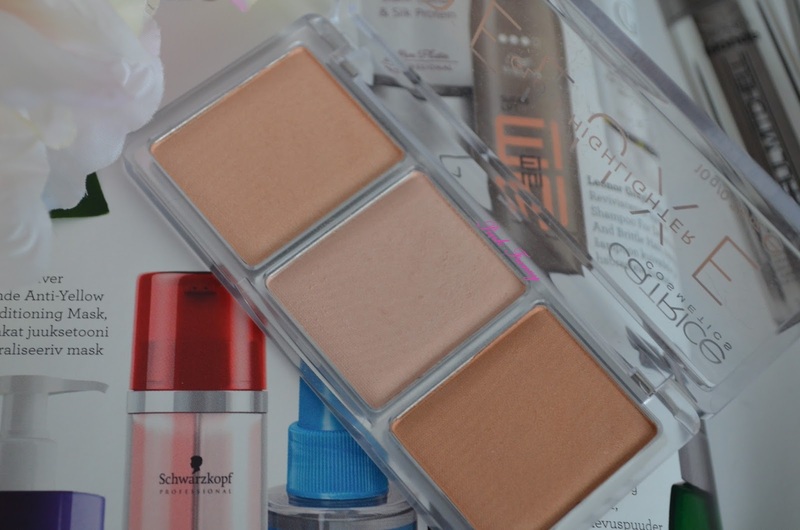 Its their Deluxe Glow Highlighter in shade 01 The Glowrious Three (10g). The trio comes in a clear compact and all the shades look beautiful in the pan. These all have shimmery finish and I really liked the shades and was thinking I'll get tons of use out of it. Also I had good experience with one of their other highlighters (review), so I had high hopes for it. The formula is enriched with vitamin E and jojoba oil and fine light-reflecting pearls for the glow. I also like I got a rose, champagne and more bonze shade, so I can use it with different looks. The powders also feel silky to the touch, but thats where everything good ends for me. These are so powdery and the pigmentation is not there at all. I don't know what happened, but this doesn't have the same quality as the other highlighter I tried from them. Also these look the same when blended out, big shimmery mess (on swatches it doesn't come out how shimmery it is). As you can see on the picture above its not very well pigmented and I'm so disappointed with the product. Catrice products are usually with really good quality, so I was expecting this to have the same standard. What has been your experience with the brand? Too bad it didn't work out. I'm not a fan of shimmer highlighters and the few that I like have a very small amount of shimmer to them. The shades are very subtle. I see what you mean. Sorry this didn't work out. Catrice can sometimes be hit or miss. I never tried this! I like when the powder is really light, I hope you'll find a better one! Thanks for the review! Thanks for reviewing it, very useful! 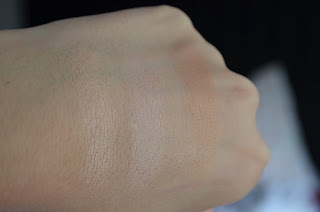 For me Catrice has been hit or miss, ans I do find that the pigmentation in most powder products is seriously lacking. That is too bad, but thanks for sharing this honest review! I've not heard of this brand and while the colours would suit my skintone, as you say, they really aren't pigmented enough!